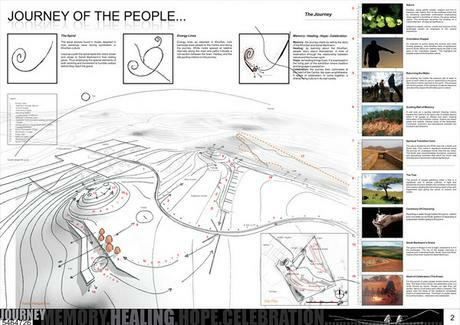 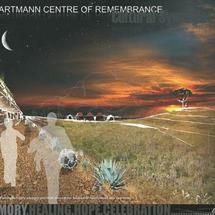 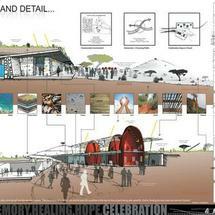 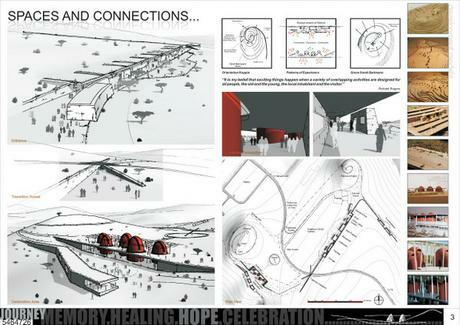 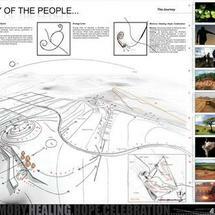 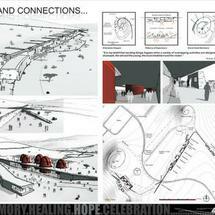 In an open international architectural competition, the Department of Arts & Culture required the design of a remembrance centre that would honour and document the life of Sarah Bartmann as well as the heritage of the Khoi-San people. 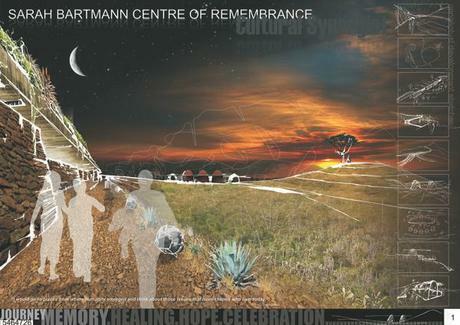 Our proposal for the Sarah Bartmann Centre of Remembrance is to be a place for both the KhoiSan people and others to learn about the shared story of Sarah Bartmann and her culture. 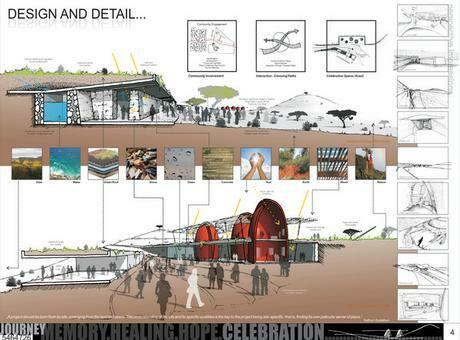 It should, in essence, act as a ‘Cultural Synergist’ in bringing cultures together to gain knowledge and interact with each other, participatory by nature, as opposed to observation only.